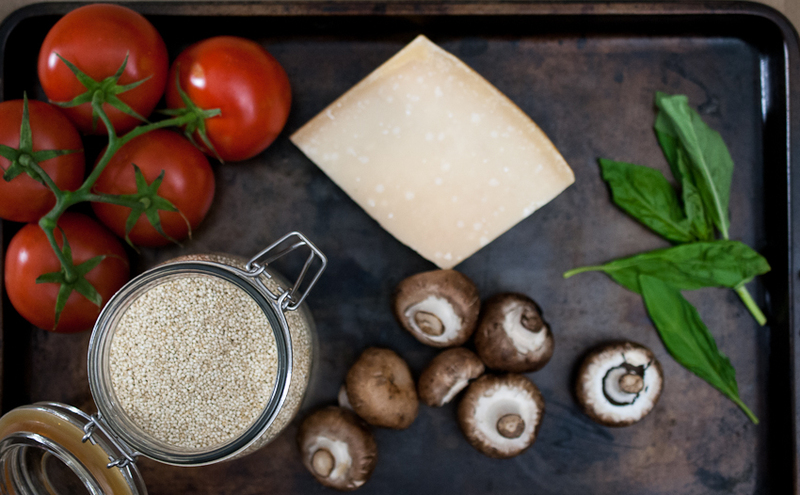 I have recently re-discovered this little super grain called Quinoa….again! How in the world I forgot all about it, is beyond me! The versatility of this little grain is HUGE! It’s healthy and very satisfying when cooked right. In my house, we love pasta as much as our morning cup of coffee, but my body does not. It goes straight to the hips on me, and the gluten is really bad for Andrew. We have searched high and low for a great GF lasagne noodle, but no luck! I’ve made vegetable lasagne before, using eggplant in place of the noodles, and has turned out really tasty. So what if I add cooked quinoa to the mix? The outcome was delish! Noodles…what noodles, they were not even missed, not one bit! 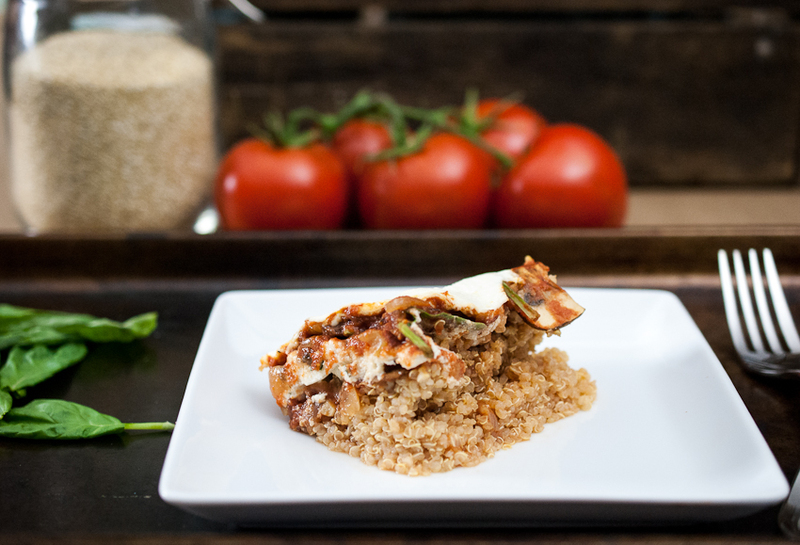 Lots of vegetables in this lasagne and the parmigiana regiano tops it off just right. You can really play around with this recipe quit a bit. 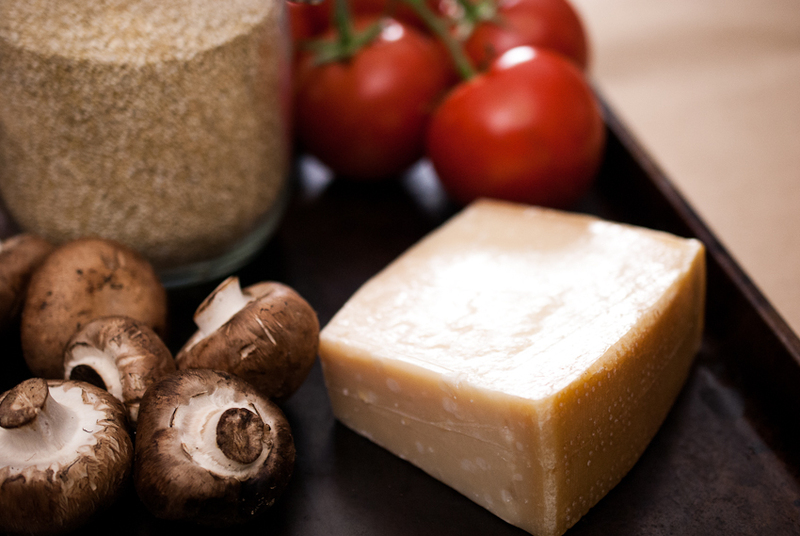 Add any kind of vegetables you like, lots of fresh herbs and cheese. My kids even loved it….I think noodles could become extinct in our house….well maybe not quit yet! Preheat oven to 350 degrees. Lightly grease a 13x9 inch casserole dish with cooking spray. Bring water and quinoa to a boil in a medium saucepan, reduce to simmer, cover and cook for 15 mins. Spread cooked quinoa in bottom of dish. Heat oil in a medium pan, cook onions and mushrooms until soft. Add garlic and tomato sauce, stir until hot. In a medium bowl, combine the ricotta cheese, egg, parmigiano, basil and oregano. 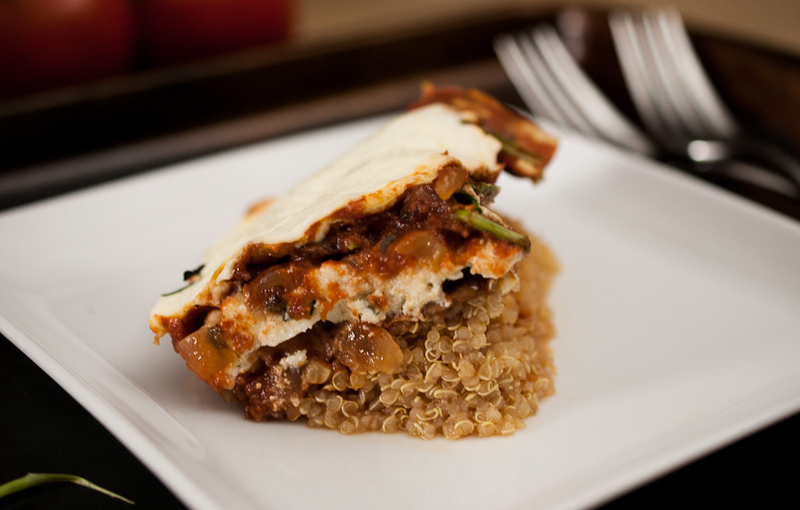 Spread one third of the sauce over the quinoa, then a layer of zucchini, then ricotta mixture. Another third of sauce, then all the spinach. Top with the rest of the sauce and mozzarella cheese. Bake for 35 minutes until hot and bubbly. Look at all those veggies!!! That is how I like my dinner–stock piled full of veggies first, and then added quinoa? Couldn’t be more perfect!